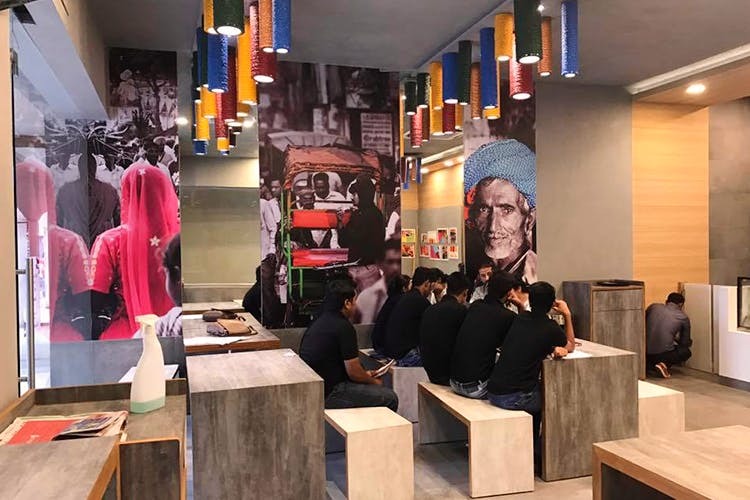 This newbie in the PVR Anupam complex, Saket is cosy enough for casual dates and has snacky options that are perfect for winter evenings. The East India Burger with beetroot and mustard sauce is yummy. Pair this with black carrot and beetroot kaanji for a refreshing addition. If you’re in the mood for street food, their Kutch ki Dabeli, vada pao and anda bun are my go-to. The service is prompt and if you’re short on time, you can munch on the snacks or just grab a coffee. If you have more time to kill, however, feel free to pick up a comic book and sip on hot adrak chai. Grab the seat at the end, with a view of outside as well as the wallpapers on their walls.